The Red King amasses power on his way to the Vatican coronation while his armies sweep across Europe in an unholy war. Lord Baltimore is missing and his allies are scattered across the continent. Is there any chance left for the resistance to stem the oncoming tide before the world is drowned in blood? 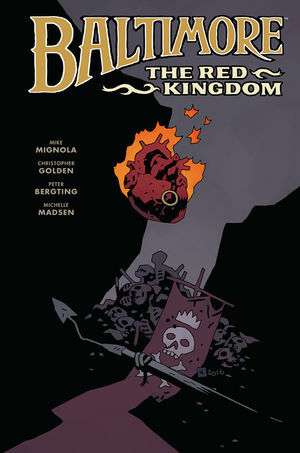 Collects Baltimore: The Red Kingdom #1-#5. *The final arc of Baltimore!